A piece for the twilight gypsy. 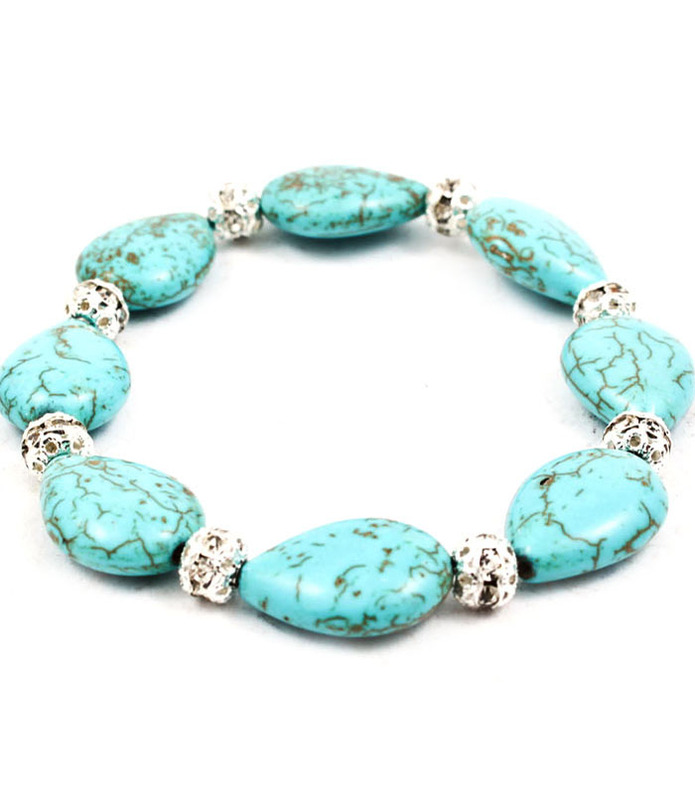 The Lyric is a simple gemstone bracelet showcasing natural turquoise stones brought to glittering life with round crystal beading. Slip it on when you're feeling adventurous. Are you looking for quality and affordable cheap jewellery? Check out our Clearance Shop today.